As the internet continues to evolve and competition becomes tougher and tougher, many SEO experts and bloggers alike are left to figure out where the next wave of tried and true tactics will come from. Those who remember or were engaged with SEO many years ago will tell you that the practices used then are not relevant now, but this doesn’t apply in every circumstance. Black hat SEO tactics are largely the result of once-legitimate methods of boosting exposure being classified as gimmicks or “cheating”. 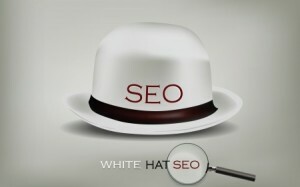 Many white hat SEO tips of yesteryear have also faded into the background, but some still provide legitimate benefit. We’ll discuss four white hat SEO tips that have some age on them, but still work well. As simple as it may seem, the use of various types of media in your website pages and blog posts can have a notable effect on how well you perform. When it comes to images, videos, text and slideshows, all of these elements should have a place in your overall content strategy. Pinging for SEO will not only be easier with a combination of these tactics, but your readers will find more ways to share and engage with your content as well. Nobody likes to just read plain text; by providing multiple forms of media, you’ll please the Google Gods and your visitors. While search engines will penalize you if they detect spamming attempts via link building or paid schemes, you can still vigorously share your content through a variety of means without facing such repercussions. RSS and other types of syndication can be excellent ways to build an audience and exposure alike without triggering any negative side-effects. Another great way to build attention for your website is through social media, which presents opportunities to share in abundance across several different platforms and audiences. If you can produce quality content and don’t mind writing for others, then you can still find benefit in some forms of guest blogging. While building links is a delicate process and takes time, so does the general art of pinging for SEO benefit. You may have to reach out to many different sites before you find someone who will agree to allow guest posts (some are sceptical due to potential harm to their own sites), but this is a tried and true way to build backlinks in a slow but steady fashion. Last but not least, you still will find benefit in researching various keywords and phrases through analytics software before deciding what and how to write. While the simple art of keyword targeting is becoming less and less beneficial to SEO efforts, you can combine this subtle effort with quality content in order to receive small boosts in where and how high your pages are ranked. It is best to avoid any general keywords or short phrases, and instead focus on highly targeted keyword variations and niches that do not have much competition. This will provide a base from which to expand in select SERPs.